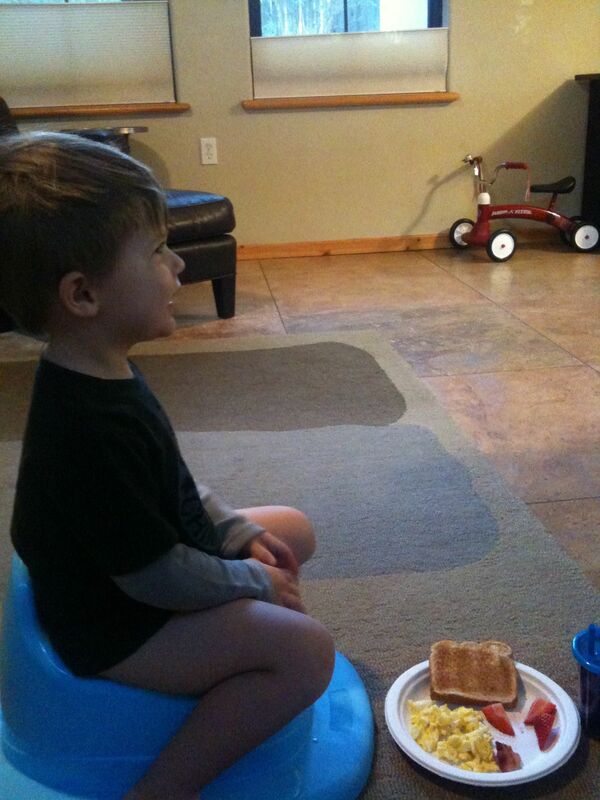 Luke is making real progress with potty training…. uh, when he feels like it. 🙂 We have tempted him with M&M’s, a cupcake, a new train, and a tube of plastic bugs. He gets M&M’s for “wee wee” and a special bigger treat for “doo doo”. He is really into watching his “Once Upon a Potty Video” while he’s working on going. He loves to sing the songs and talk about what the other kids are doing. Yeah progress!!! Luke was eating standing on a step stool, chowing on a giant tomato, singing “I’ve been working on the railroad”. 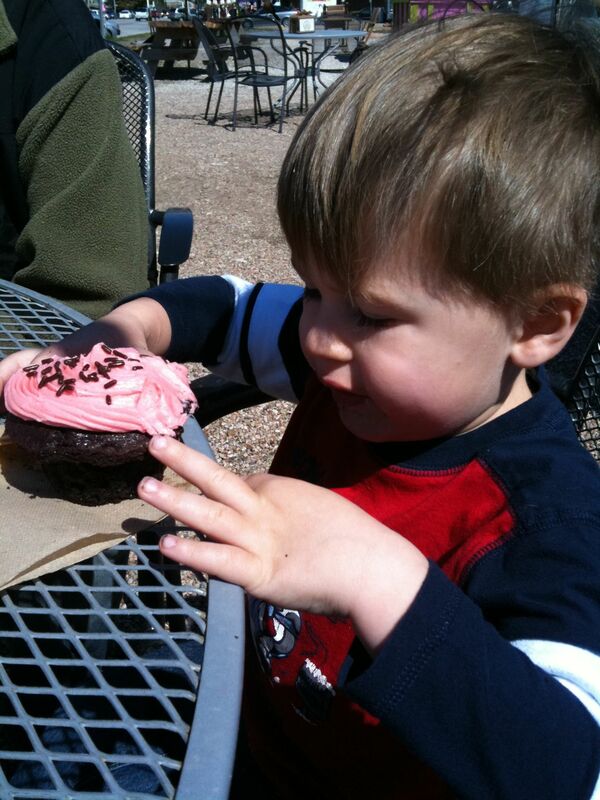 I got him to sing for the camera… but man I wish I had a camera glued to me for those spontaneous moments. Still very cute though.